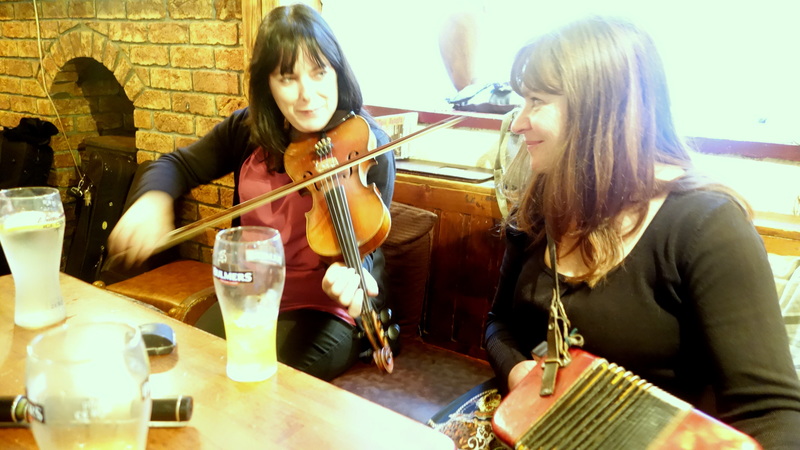 Session at the Old Ground with Mary MacNamara and her daughter Scorcha and Geraldine Cotter. 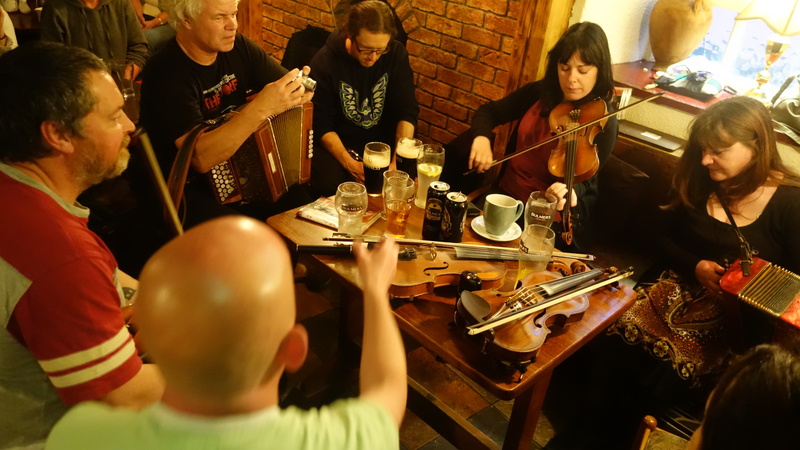 The momentum of the Fleadh and the buzz around Ennis built as we approached the weekend. The crowds got bigger and the sessions got better. I went to 24 sessions during the 8 days and I can honestly say I didn’t go to one I didn’t enjoy. 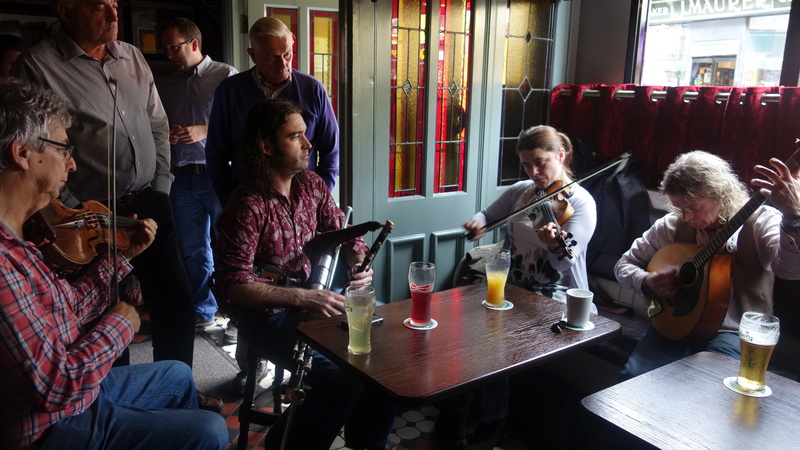 The Fleadh Nua has been a terrific way to start my Ireland journey. I have been overwhelmed by the people and the music and it is everything I had expected or hoped for. 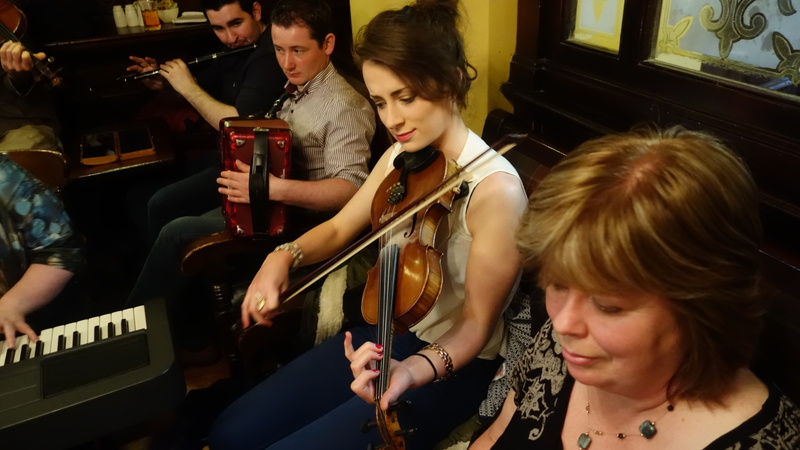 I have played with most of Clare’s top musicians and others less heralded but just as good. 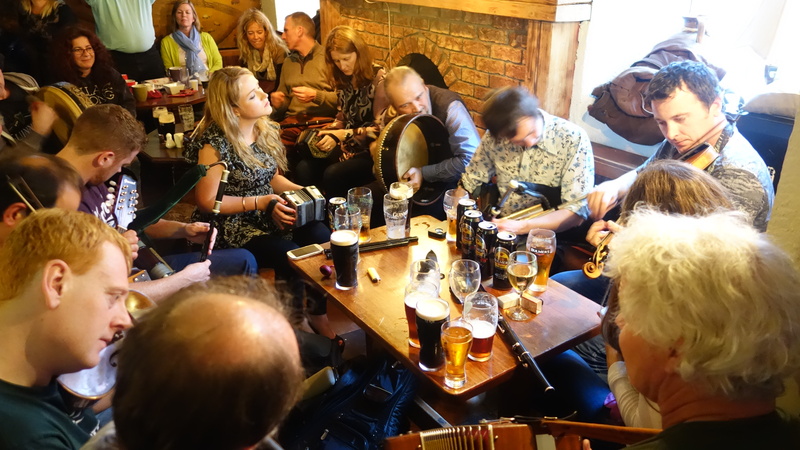 I have met a lot of interesting people from Europe and the US (Hi Veronika and Holger, Thomas, Thierry, Sally Ann, Caroline, Kieran, Jessica) all with a singular passion for Irish music and all keen to learn more in their own individual way. I have been welcomed by most her who are happy to share the music. 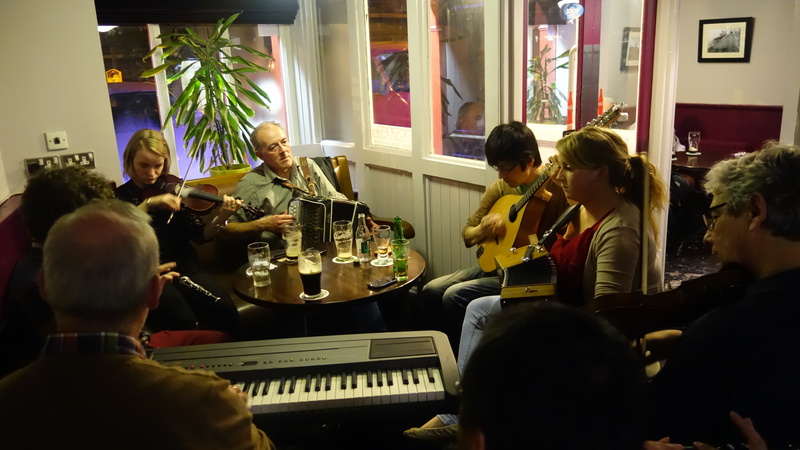 I have met some wonderful Irish people who drive from all over to listen to the music for the Fleadh. They are so knowledgeable and like it that you are interested. I have watched my fiddle playing grow. 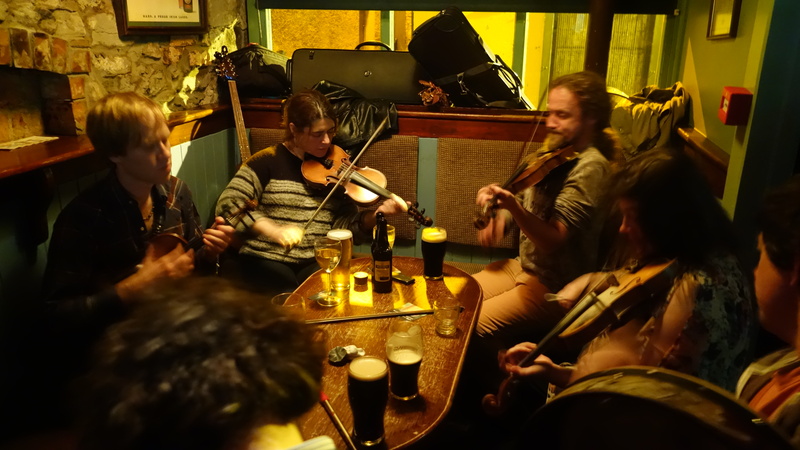 The nerves are still there when asked to start a tune but a week ago I never dreamed I would be playing alongside the likes of Siobhan Peoples, Tola Custy, Blackie O’Connell, Josephine Marsh, Mary MacNamara or Eamonn Cotter and holding my own. Or listening to some wonderful singing from Niamh Parsons and Noirin Lynch and many others. Or the impromptu dancing of the gorgeous Lenka. 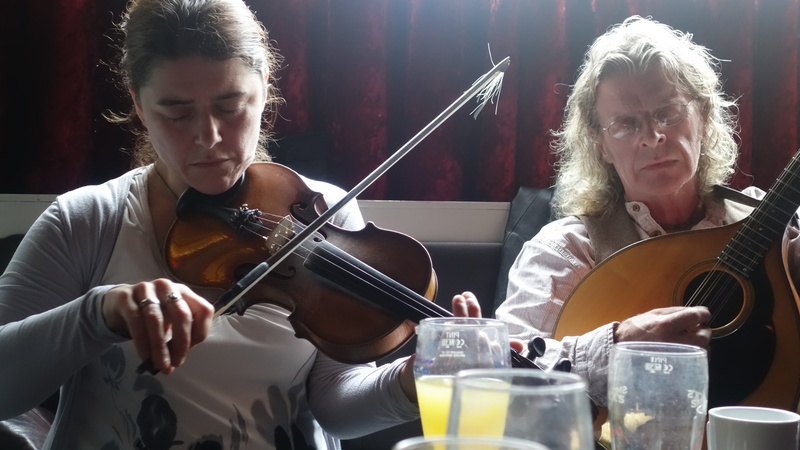 The variety of approaches to the music is incredible From the driving pipes and fiddle of Blackie and Siobhan to the gentle flowing pace of Mary Mac and Geraldine Cotter and the sweet tones of Yvonne Casey’s fiddle with Josephine’s exquisite box playing. The way music is weaved in and out of the fabric of the culture in this part of the world is revealed every night and day. One strikes up a conversation and it soon gets to “you here for the Fleadh?” And they will proceed to tell you where the best music is. The pleasure that musicians get playing with each other is obvious as is the respect that they seem to hold for each other. This is reflected in the multitude of different collaboration in the many different locations. 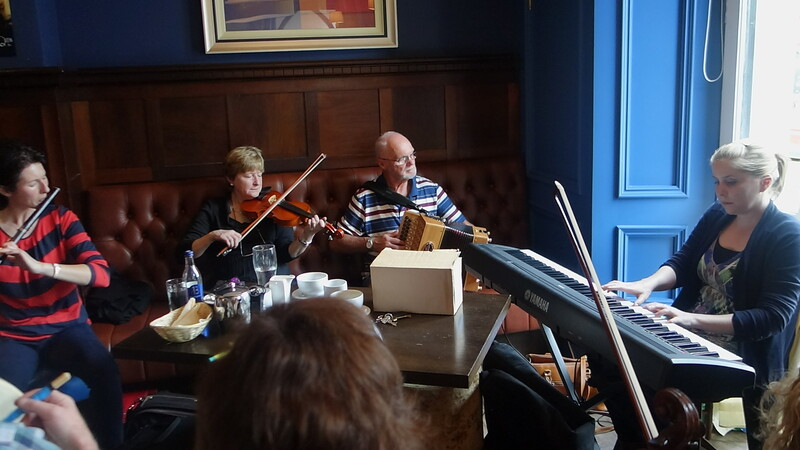 For example I have seen Siobhan Peoples play with Murty Ryan, with Blackie O’Connell and Tola Custy at different times. 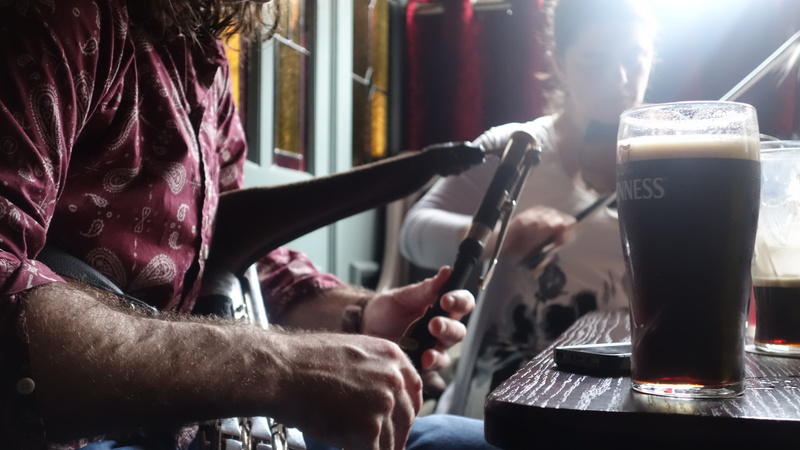 The Café sessions where the music is taken out of the pubs and away from the constant pub noise reveals its soul and demands undivided attention have been an unsung highlight. I continue to be inspired. 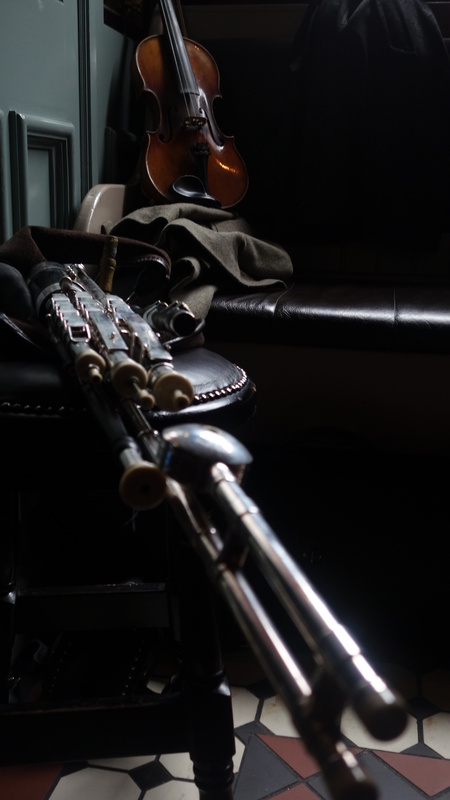 Your pipes pic is beautiful anf evocative. Music and laughs must be amazing. Have fun. Thanks. Not set up. Just there and the light was right. All session photos taken with small camera. Just holding back to get everyone’s confidence before I bring out my good camera. Hi Bob. Wonderful text and pictures. 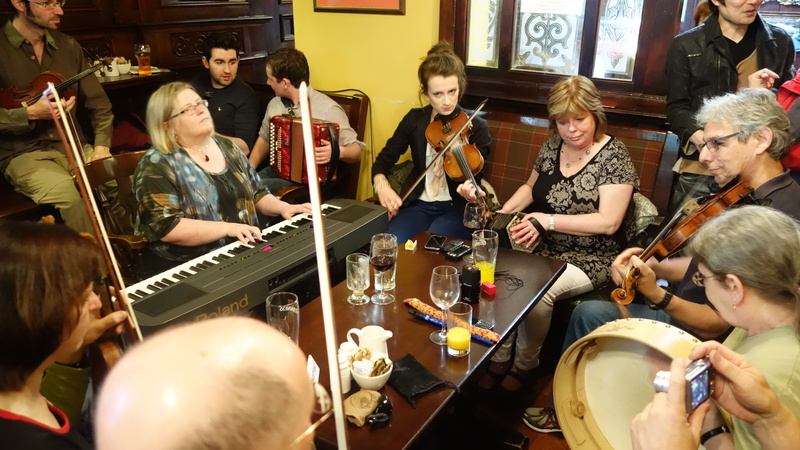 Just perfect to refresh our memories of the Fleadh. Thanks Veronika what did you think of the Doolin photos? They are excellent. I think you captured the different styles and personalities of the musicians very well. Would have loved to be there.